If you're like me, the best room to be in, is the one with the least amount of people! If you want to display your hatred for people to your neighbors, guests, family, and friends, this garden gnome flipping the bird might do the trick. 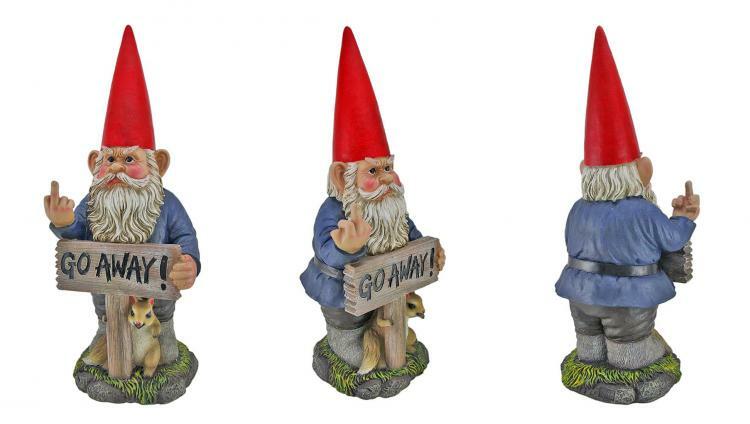 He also holds a sign saying "GO AWAY! ", along with a grimacing face. 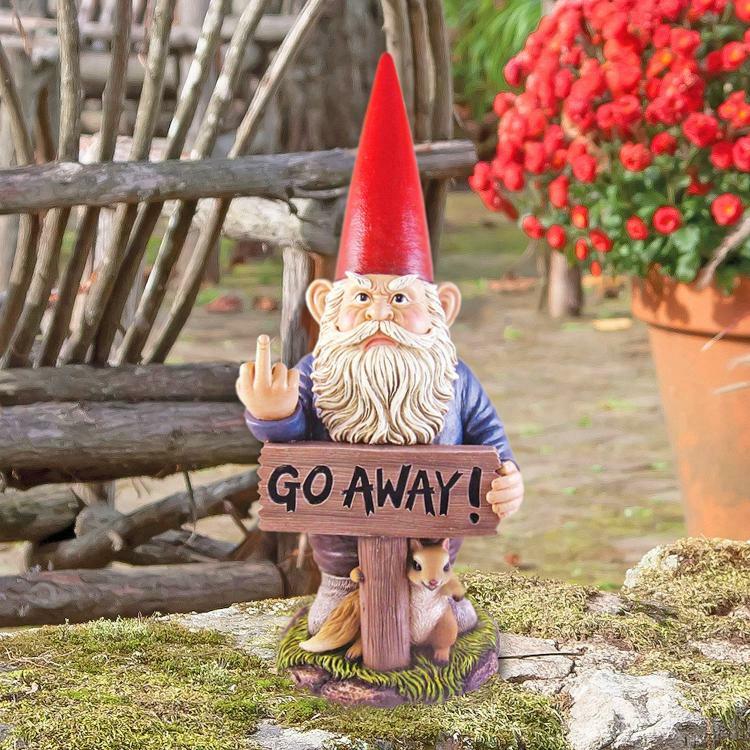 Any door-to-door salespeople, solicitors, or girl-scouts might now think twice about approaching your door. 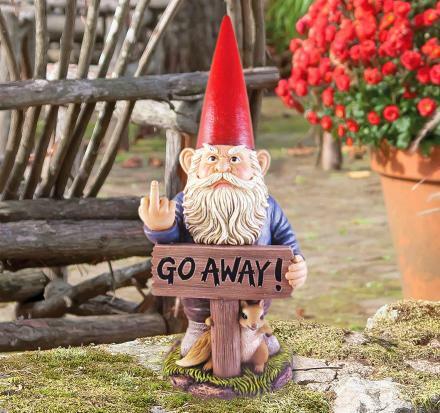 If one bird doesn't show enough hatred you have to each passerby, the double bird garden gnome is also available. 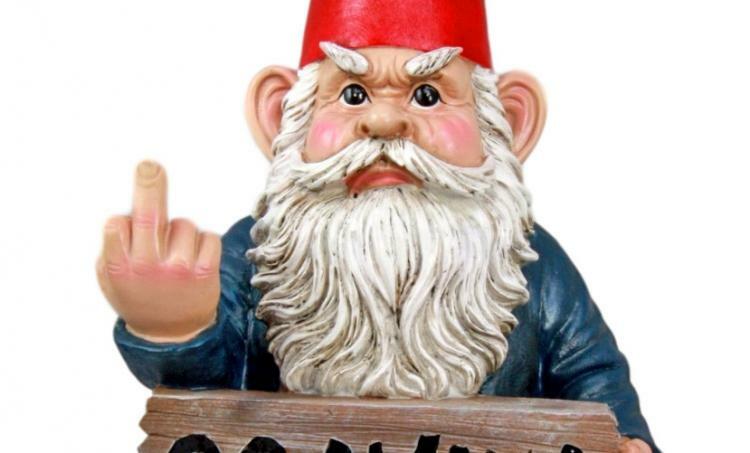 He gives twice the amount of middle fingers, and twice the attitude. 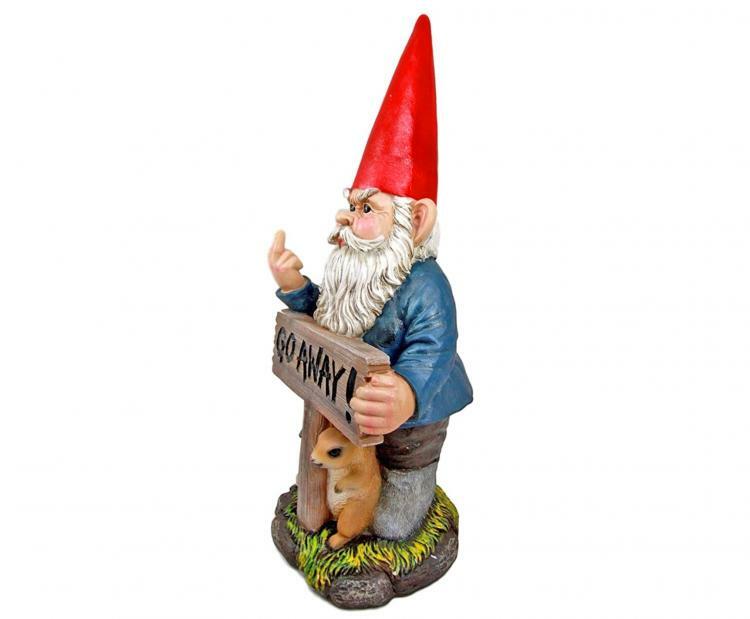 Though he doesn't hold a sign. 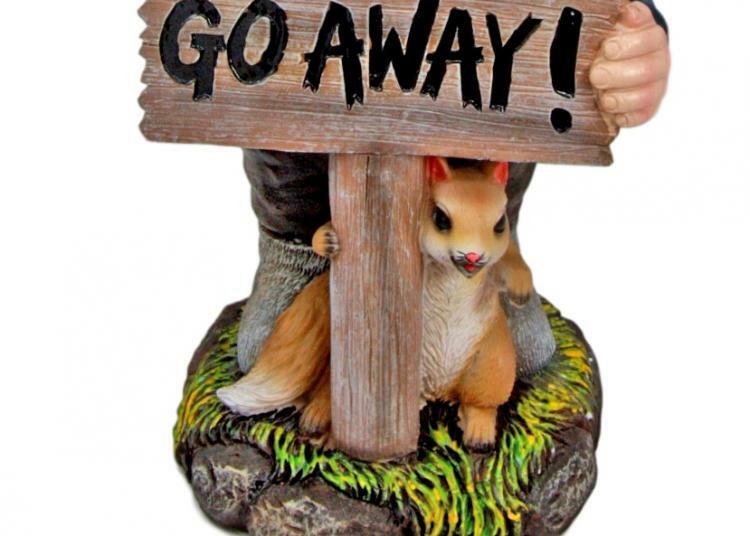 The Go Away flipping the bird garden gnome comes with a menacing squirrel between the gnomes legs, is made from poly-resin, is weatherproof to withstand the elements of being outside all year-round, he stands 18 inches tall, and weighs 3.5 lbs.